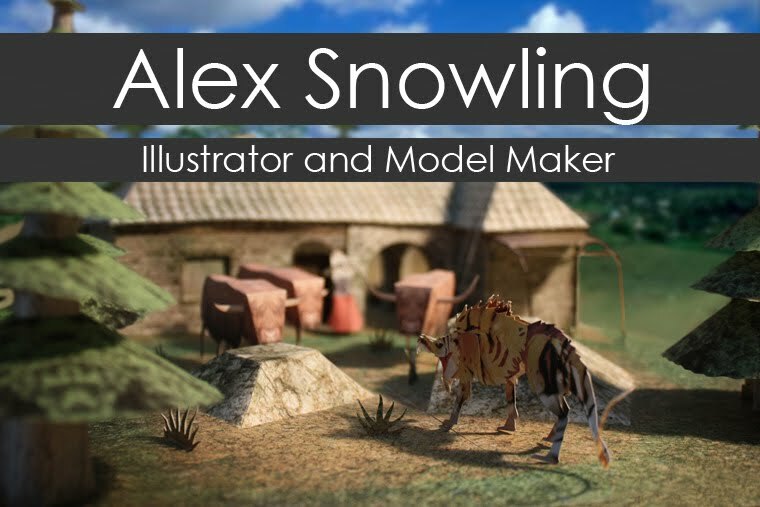 Alex Snowling: Illustrator and Model Maker: MAKE-a-ME activity day at Hobbycraft. Welcome to all new visitors and welcome back to any regular viewers here! To anyone who has come here after their visit to Hobbycraft today I have added a nifty link to the MAKE-a-ME sheets at the end of this post, plus there is the instruction sheet there too! So, today went rather well, it wasn't massively busy but Gevaudan presented itself rather nicely, what's more we had a few people who joined in and made a MAKE-a-ME! If you would like to make a MAKE-a-ME just click the link below, print it out on at least 100 gram paper (preferably 200 gram) and then follow the instructions! Hobbycraft and I would love to see your MAKE-a-ME's, so post an image in the comments or send me an email and I'll pass it on to Hobbycraft and post your amazing creations here too! If you would like custom models made (like a photo-real Gevaudanian or a dragon) just give me an email or post a comment below and I'll see what I can do!